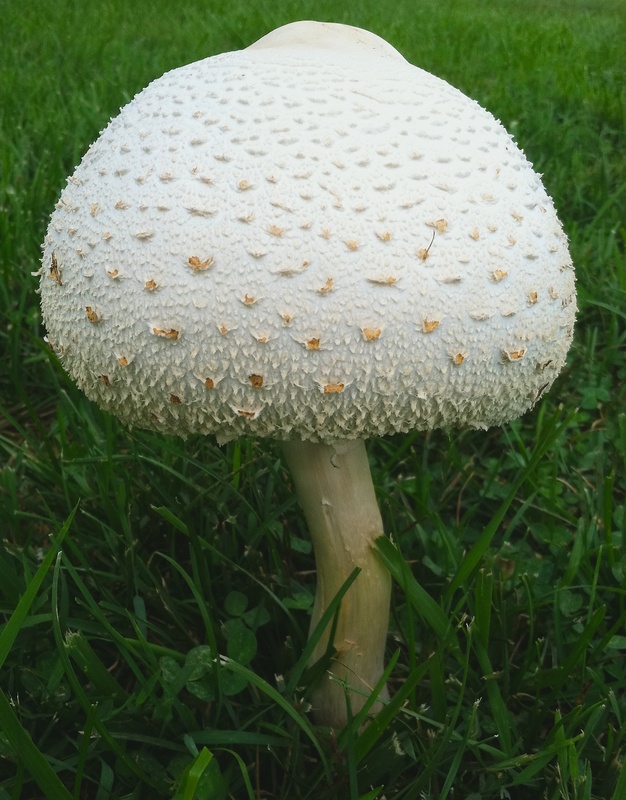 Yep, that’s a mushroom, alright. While I took time off this summer, watching the Olympic Summer Games, tinkering with my blog design (still more to come on that front, I’m afraid), and planning our family move for this fall (you head it here first *SIGH*), and my garden plants braved blasts of searing heat alternating with fierce winds and torrential downpours, there was a SERIOUS mushroom explosion in my front yard. 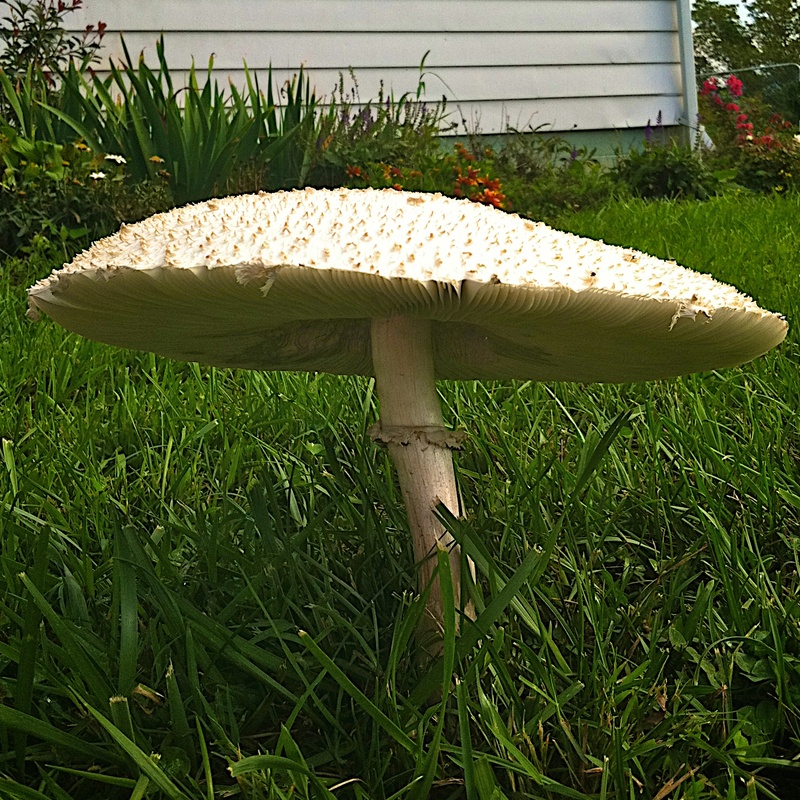 It began as just one or two perfectly sized and formed specimens. No big deal. 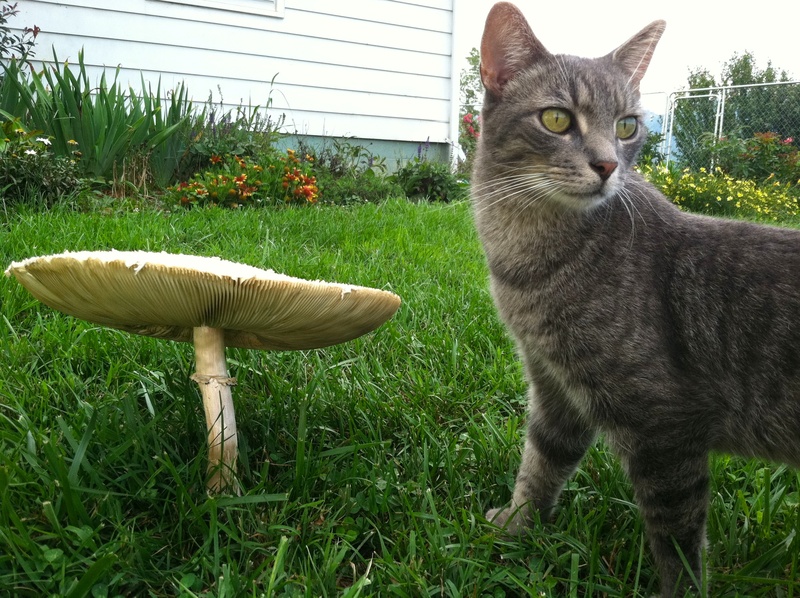 However, it wasn’t long before we saw potential come to fruition. Clearly, fertilizing with manure from the horse barn encourages growth. 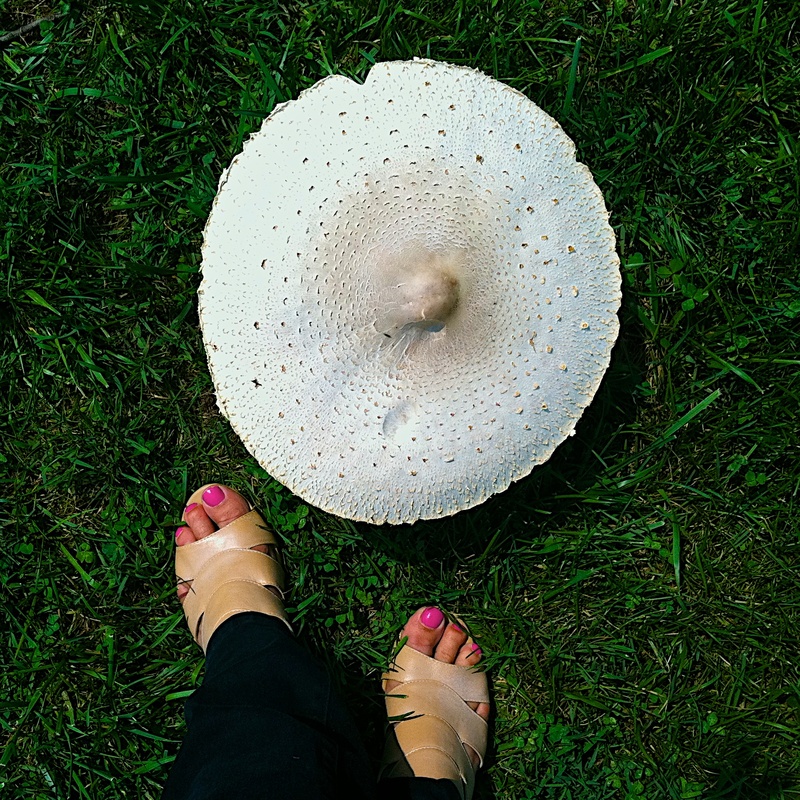 By all accounts… this IS a Mighty Mushroom! 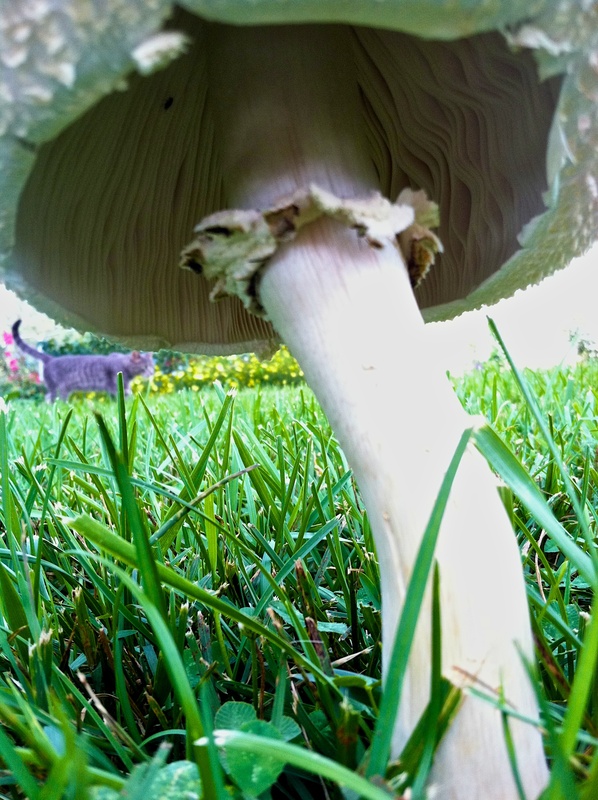 wow, that mushroom is huge! looks kinda cool too. Cool, indeed! Thanks for your comment. 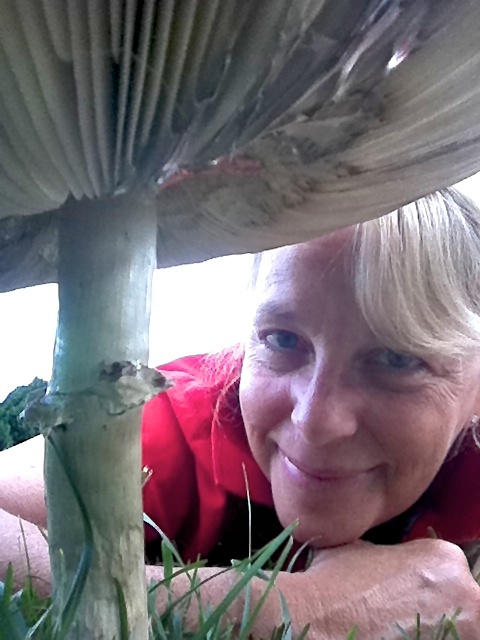 Claire, thanks for your musings on the massive mushroom. Gave me a smile today. Would enjoy hearing more about your move! Hi Kimberly! Thanks for your kind words and encouragement. I’ll get back to it… promise! Hugs.